A home with a roof terrace is a gift. 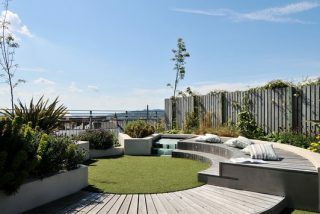 Roof terraces by elements are the ultimate garden experience providing intimacy and privacy from the hustle and bustle below whilst at the same time providing unparalleled views of your surroundings. We build stylish, contemporary space for relaxing and entertaining. Our portfolio includes a array of inspirational designs and commissions covering a wide range of styles. Through strong working links with suppliers we are able to source the products for your project at competitive prices.